PLEASE NOTE: All our Mobile Homes are based on a minimum of 2 night stays. Please search for at least 2 nights if you require a mobile home. Do you have questions about coming to Portnoo? Get in touch! The café has become a popular meeting place for locals and tourists alike. 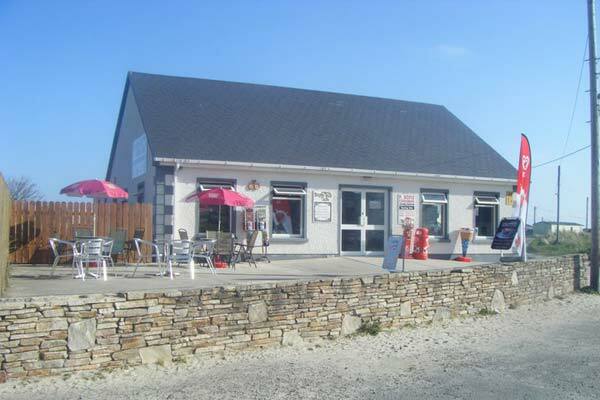 Boyle’s Seaside Café offers a great all-day breakfast, lunch, tasty light bites, scrumptious sandwiches & evening meals. 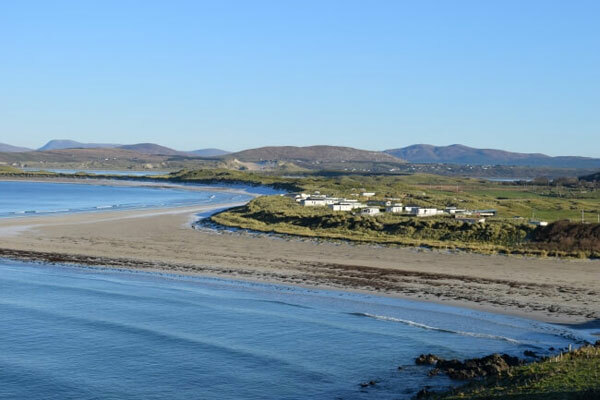 The popularity of the Wild Atlantic Way during Summer months has brought international guests and a great atmosphere around the caravan park & camping grounds. Portnoo is a town that is twinned with Narin. The village is well known for having a fine golf course and there are high-quality beaches in the area, but there is so much more to the town. Our Caravan and Camping Facility is friendly, informal and family-run with unique panoramic sea views over the Atlantic Coast. Choose to stay in the Tent and Touring Caravan Facility or rent one of our new Mobile Homes, either way, our picturesque waterfront park offers the perfect base for a relaxing holiday with friendly and helpful staff. We have outstanding facilities for families with our on-park Seaside Café, a well-stocked shop, and direct exclusive access to the Blue Flag Beach. Nestled between the great Mount Errigal to the North, the Atlantic Ocean to the west and the rolling Hills of Donegal to surround, located on the Wild Atlantic Way, and close to Ardara. Boyle’s Caravan and Camping Facility will attract you and your family year after year. We offer guests an unforgettable experience in a truly beautiful Irish setting. Come out west and discover the beauty of Donegal along the Wild Atlantic Way! Less Than 5 Minute Walk To The Beach! 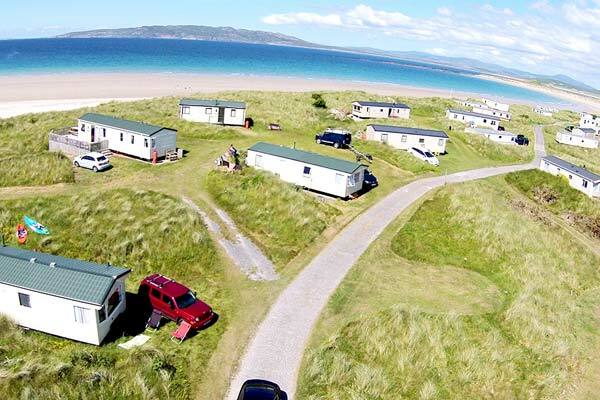 Don’t miss your chance to experience this well maintained and friendly Caravan and Camping Facility in Portnoo, Donegal. Our caravan park is owned and run by Patrick and Rena Boyle. This Park is favored by couples and families alike and offers 2 options for accommodation. You can rent a modern static mobile home weekly or stay in our newly developed touring caravan area.